Charles River and the René Remie Surgical Skills Centre (RRSSC) have joined their expertise and are pleased to offer a “hands-on” surgery training course. Held at the RRSSC in the Netherlands, this training is designed to be very practical and combines lectures with hands-on exercises, ensuring you receive the most comprehensive training experience. This course will help you build a strong foundation of knowledge and skill in rodent surgery and allow you to train on simple procedures. You will learn about rodent surgery best practice, pre-and postoperative care, on-demand surgical techniques, and animal welfare in the surgical setting. Professor René Remie, Pharm D, PhD, author and editor of the Manual of Microsurgery on the Laboratory Rat, studied pharmacy at the University of Groningen. In 1983, he specialized in pharmacology and did his PhD on the presynaptic modulation of noradrenergic neurotransmission in the portal vein of the freely moving rat. In 1990, Dr. Remie co-founded the Microsurgical Developments Foundation and has been chairman ever since. In 1991, he specialized in laboratory animal science and welfare, and worked for nineteen years as a laboratory animal scientist and welfare officer at Solvay Pharmaceuticals. 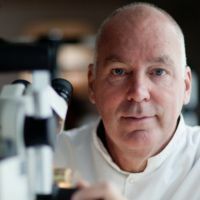 From 1997 to 2012, Dr. Remie held a chair in microsurgery and experimental techniques in laboratory animals at the Groningen Centre for Drug Research, University of Groningen, the Netherlands. In 2002, he co-founded the International Microsurgical Training Centre, and served as its scientific director and course leader. In 2009, he started the René Remie Surgical Skills Centre where he is course leader. Dr. Remie has been an instructor for more than 40 years. For pricing, or to register, please complete the form below. Having trouble viewing the form?